Yana Rocks is in the village of Yana in the Uttara Kannada district. Know about Yana Rocks legends, trekking, Yana rocks caves and other sightseeing. Yana is not your ordinary hill station. Know more about Yana, sightseeing here, how to reach here and most importantly about the limestone rock. 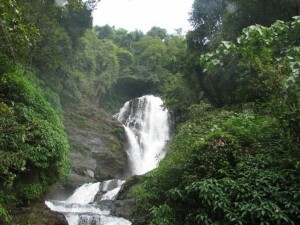 Karnataka has few of the best water falls of India. Vibhootiis a small waterfalls near Yana, about 50kms from Sirsi North Kanara,Western Ghats.